We are located in the Royapettah locality, which is in the heart on Chennai city, in a main thoroughfare called Avvai Shanmugam Road ( formerly known as Lloyds Road ). The nearby landmarks include : Head Office of Indian Bank ( opposite ), Music Academy ( 300m ), US Consulate ( 1 km ), Marina Beach ( 2 kms ), Kapaleeswarar Temple ( 2.5 kms ), Santhome Church ( 3 kms ), etc. The Chennai airport is 17 kms away and the Central Railway Station is about 5.5 kms away. 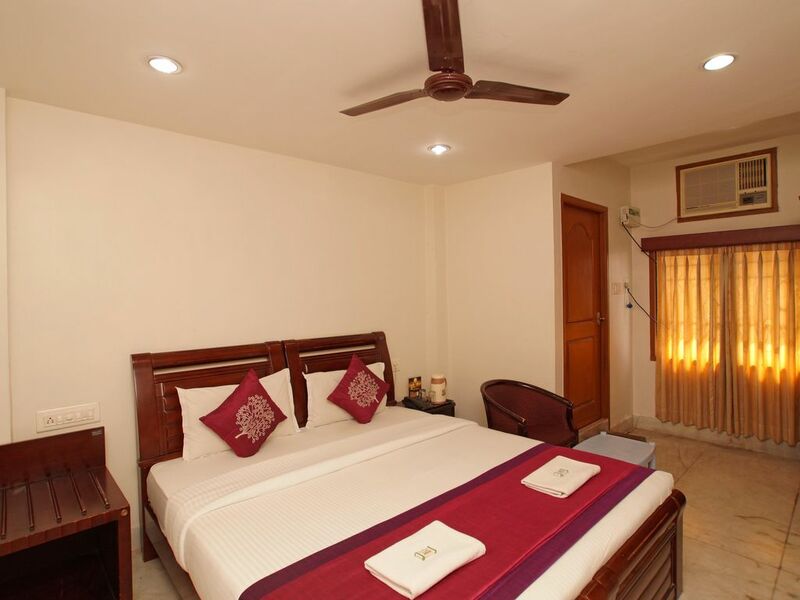 Lloyds Guest House, at Royapettah, has 26 well appointed air-conditioned rooms on 3 floors, with all amenities. We operate a 24 hour front desk and have 24 hour security. Ample parking is also available. We assist our guests in foreign currency exchange, taxi booking and information on items of tourist interests. Wifi internet access and breakfast are provided complimentary. We accept Visa & Mastercard credit cards. Lloyds Guest House, at Royapettah, has 2 Standard Rooms ( single occupancy ) and 24 double rooms ( single / double occupancy ) in Deluxe Rooms / Executive Deluxe rooms / Supreme rooms categories. All rooms are air-conditioned, with attached bathrooms and a flat screen TV. A lift / elevator, running hot & cold water, linen, toiletries, etc. are also available. We welcome you to stay with us ! Every winter, in the months of November to January, Chennai city plays host to the famous Classical Music & Dance Festival through it's many sabhas. The prime venue for some of the best shows happens at The Music Academy which is located at a distance of 300 m from Lloyds Guest House and it is popular among guests from abroad, participants and Rasikas.